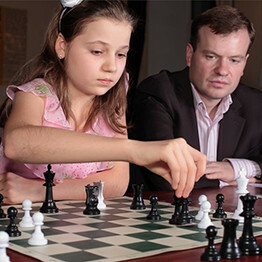 Inspire more than great chess. Inspire great thinking! Multi-dimensional chess education system for students and instructors. Support tools for classes, clubs, and competitive teams. "The Chess Software System That Inspires Kids To Think"
For twenty years Think Like A King has been recognized as a powerful tool that can make chess successful in any learning environment. And with our new online learning system here at The Chess School, it's even better than ever. The uniquely designed Chess Workouts™ do far more than just teach great chess. They engage every user in a rich and highly descriptive learning process that uses chess to build critical thinking skills. We support thinking not as an afterthought, but as part of an immaculately designed learning structure that also invokes reading, vocabulary, language and analytic skills. All while being completely engaging—and fun! With the powerful motivational features in Chess Club Manager™, rewards no longer go just to the few destined to become gifted competitors. Instead, the entire system is based on driving and rewarding learning effort—because that’s what ultimately leads to successful thinking. And the results couldn’t be more dramatic. Or do you want to teach everyone to Think Like A King? Educators know that chess is far more than just a game. It's an extremely effective way to build critical Executive Function skills in kids. 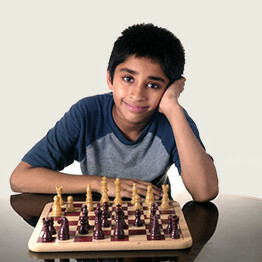 The question is not whether your school has any interest in developing strong chess players, but how chess may be best used to achieve your educational goals. 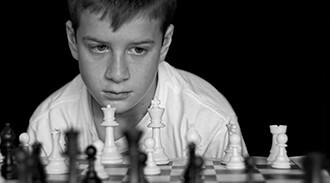 Learn why our Educational Chess philosophy helps ensure that your program can have maximum educational impact, not just for the best players, but for all students. And why the tools you choose for chess club matter a great deal. Once you know the details, you'll appreciate just how unique Think Like A King really is. 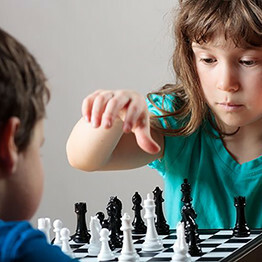 See how advances in learning science give us insights into why chess can be such a great educational tool – and how getting maximum benefit from it requires proper implementation. You may be surprised at how this might change the way you want to do things…! The fun way to build critical thinking skills. Best introduction for complete novices. 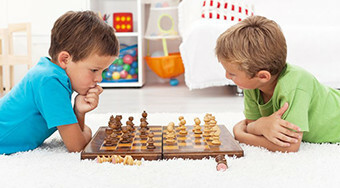 Organize a chess club or class with ease. "The Think Like a King educational chess software is a great product for learners of all ages, and it's not just us who think so." "Think Like A King...has the highest quality instructional content of any software we have seen." "It's like having an assistant chess coach and expert teacher available 24 hours a day." "The ultimate chess tool for schools. Think Like A King does it all." "You'll love what this does for your chess club!"